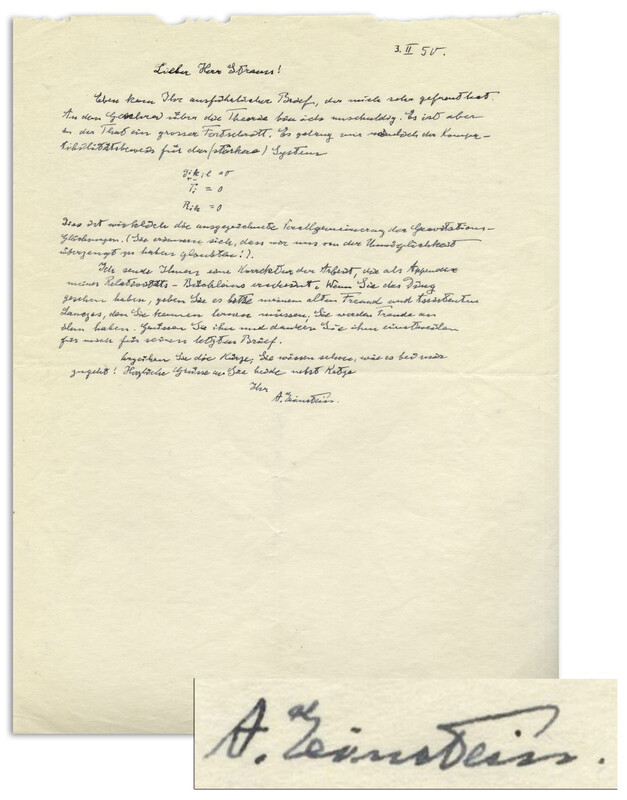 Excellent Albert Einstein autograph letter signed ''A. 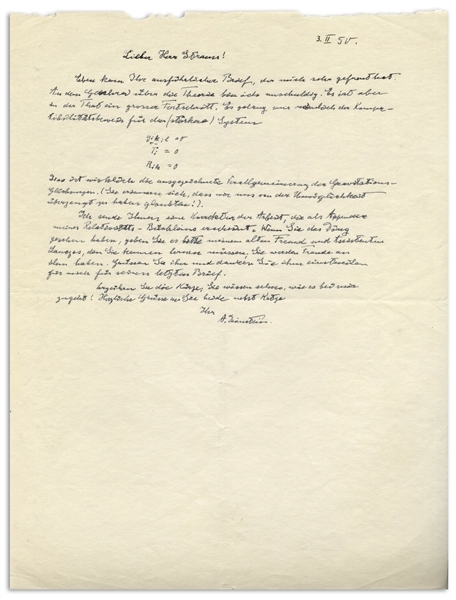 Einstein'', where Einstein enjoys the success of confirming his Generalized Theory of Gravitation, which expanded the application of his General Theory of Relativity. 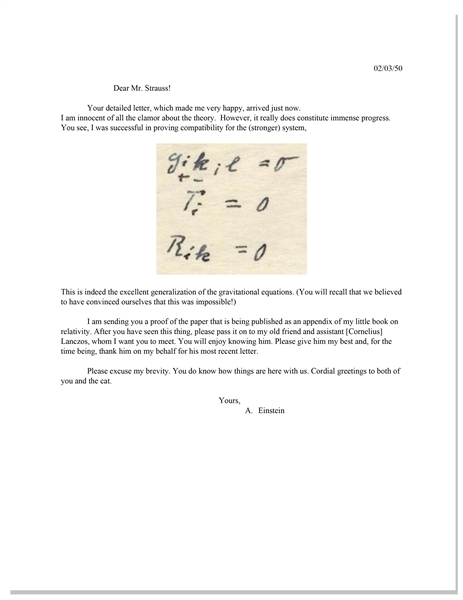 In this letter to his assistant Ernst Straus, Einstein even handwrites the pertinent equations and then writes, ''This is indeed the excellent generalization of the gravitational equations. (You will recall that we believed to have convinced ourselves that this was impossible!)''. 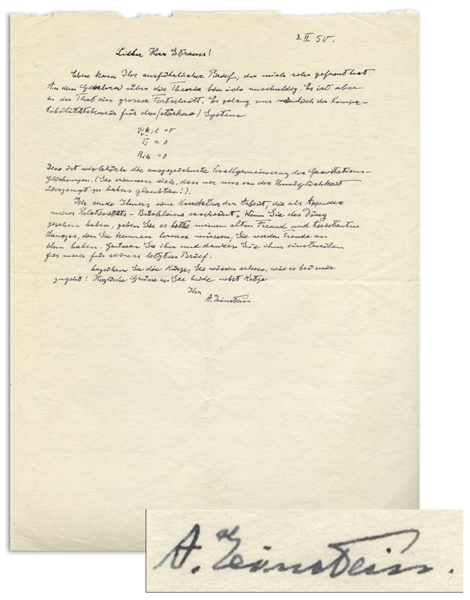 Although Einstein's attempts to unify disparate theories of gravity and relativity were discounted after his death, many now believe that he's since been vindicated with new discoveries, including the ''strong force'' of particle physics. 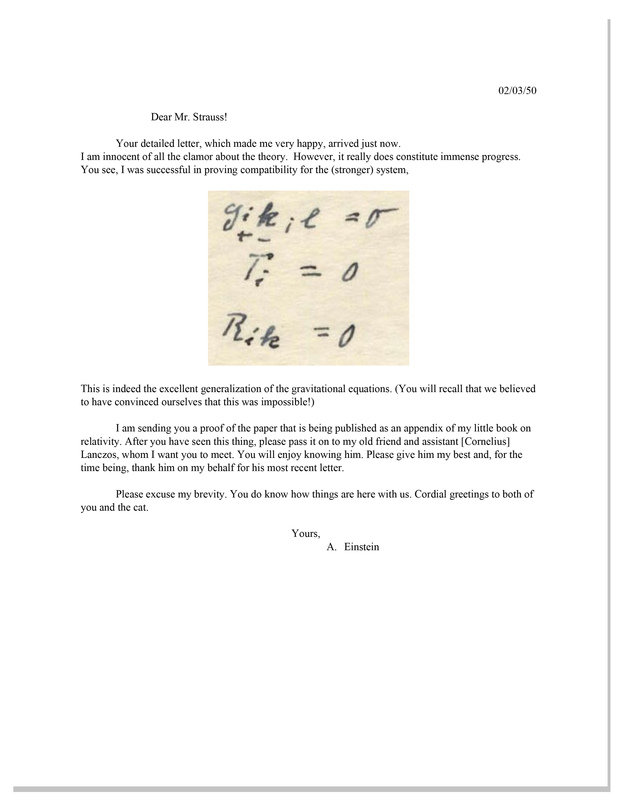 I am sending you a proof of the paper that is being published as an appendix of my little book on relativity. After you have seen this thing, please pass it on to my old friend and assistant [Cornelius] Lanczos, whom I want you to meet. You will enjoy knowing him. Please give him my best and, for the time being, thank him on my behalf for his most recent letter. Please excuse my brevity. You do know how things are here with us. Cordial greetings to both of you and the cat. / Yours, / A. Einstein''. 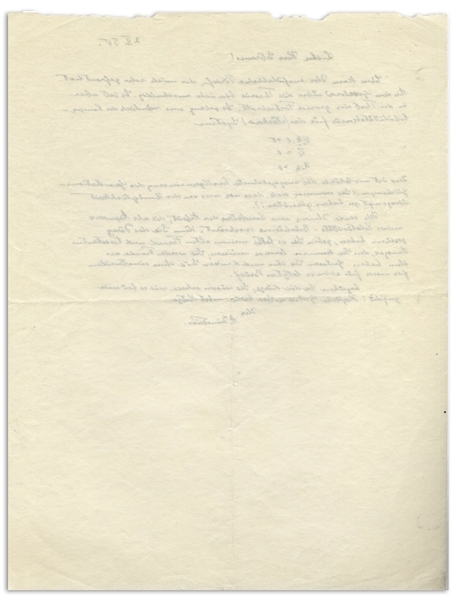 Single page measures 8.5'' x 11''. Shallow folds and minute chipping at top edge. Overall near fine condition. 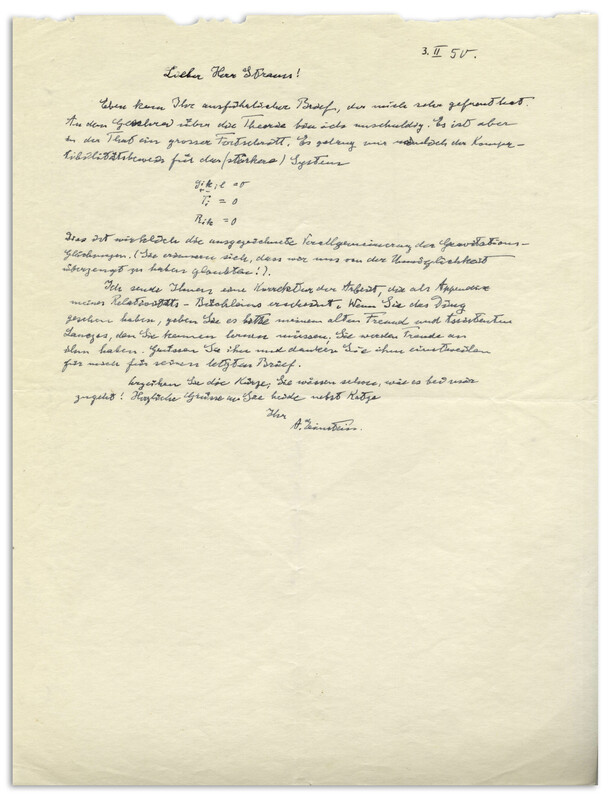 An extraordinary letter by Einstein expressing satisfaction of his success in making forward progress to our understanding of the universe.